DAB+, DMB-R and DMB TV transmissions have taken place in Italy. Currently (January 2017) only DAB+ or "original-flavour" DAB are being used for radio. There is also some DMB-TV. 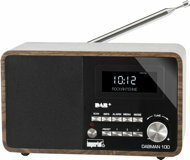 According to Italian regulations, only DAB+ and DMB-R can be used for "regular" radio services. Currently, only the province Trentino has "regular" services. In other areas, the transmissions are regulated as trials. The evidence points to a broadcaster preference for DAB+. In view of DMB-R being specified as one of the official standards, however, Wohnort recommends that if you intend to use a receiver in this country it should be capable of receiving both DAB+ and DMB-R. 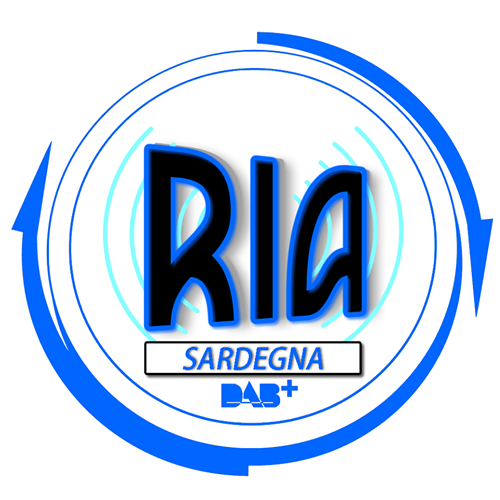 There is an Italian "kite mark" for digital radio receivers - the logo of ARD (Associazione per la Radiofonia Digitale in Italia). To qualify for this mark, a receiver should be capable of receiving DAB+ and DMB-R in both Band III and L-band. RTL's list is not 100% accurate, however. In November 2012 and again in May 2013, Brescia was observed to have very good coverage on Block 12A. In Alto Adige (Südtirol), RAI services are available on the joint RAS/RAI ensemble operating on Block 10B. In Trentino, RAI services, including regional variations, are broadcast in DAB+ on a new ensemble transmitted from Paganella. 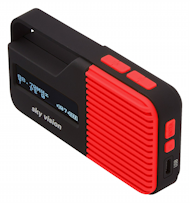 Radio Internet elegante con interfaccia Wi-Fi e LAN, radio DAB/DAB+ e FM con funzione RDS e diverse funzioni di sveglia. Alimentazione telecomando: batteria CR2025 (compresa nella consegna). At the present time, there are no ensembles broadcasting exclusively in Abruzzo. See National Ensembles. Jetzt auch bei amazon.de erhältlich! 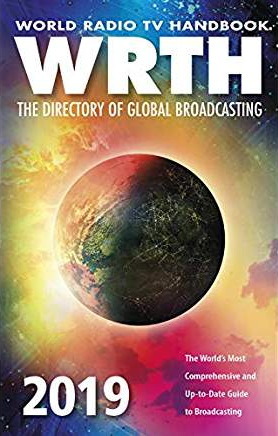 Radio DAB/DAB+ (Band III u. L-Band) / UKW. Beinhaltet 2x20W Lautsprecher. Wurfantenne und abnehmbare Teleskopantenne. F-Stecker für den Anschluss an die Hausantenne. Klappbaren Informationsdisplay. In Schwarzer Glanzlackierung oder Walnuss bestellbar. Radio DAB/DAB+ (Band III e L-Band) / FM. Dotato di due altoparlanti 2x20 W. Antenna a filo e telescopica. Connettore F per il collegamento ad una antenna esterna. Display reclinabile. Disponibile in nero lucido o noce. 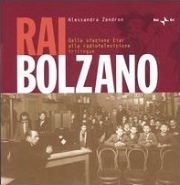 Questo libro narra la storia della Rai di Bolzano. La stazione dell'Eiar a Bolzano nasce contro ogni previsione come quarta sede in Italia: deve trasmettere i discorsi dell'inaugurazione del monumento fascista della vittoria e contribuire al progetto di italianizzazione del Sudtirolo. Divenuta Rai nel dopoguerra, oggi è testimone e protagonista di una delle poche realtà consapevolmente plurilingui d'Europa. Nel libro si legge del fascino della radio, per cui anche ai più nazionalisti capita di volere l'autonomia; della passione per la musica; dell'occupazione tedesca; dei pochi giorni di Radio Bolzano libera; della gioia di partecipare, recitare, usare la voce per comunicare. *1) Accented characters may not display correctly on some receivers. The Snapshots below are of the former L-band ensemble broadcast in Bolzano. Its services are now broadcast on the Band III muxes and therefore have coverage throughout Südtirol. At the present time, there are no ensembles broadcasting exclusively in Valle d'Aosta. See National Ensembles. At the present time, there are no ensembles broadcasting exclusively in Basilicata. See National Ensembles. At the present time, there are no ensembles broadcasting exclusively in Calabria. See National Ensembles. This ensemble originally operated on Block 12D and migrated in July 2018. The snapshot below is of a pilot ensemble that operated in Bologna during 2009 and 2010. The ensemble ceased at the end of January 2011. The RaiWay website has a coverage map for download. 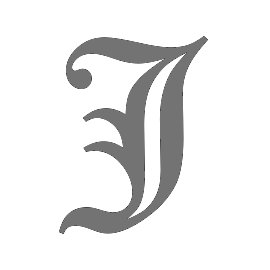 At the present time, there are no ensembles broadcasting exclusively in Friuli-Venezia Giulia. See National Ensembles. This separate RAI ensemble for Rome has now ceased. The national ensemble is broadcast in the capital. This ensemble was not seen in January 2013 and is assumed to have ceased. This ensemble operated previously on Block 7B. *1 Services point to the same audio sub-channel. *2 Components point to the same data sub-channel. At the present time, there are no ensembles broadcasting exclusively in Liguria. See National Ensembles. At the present time, there are no ensembles broadcasting exclusively in Lombardia. See National Ensembles. At the present time, there are no ensembles broadcasting exclusively in Marche. See National Ensembles. At the present time, there are no ensembles broadcasting exclusively in Molise. See National Ensembles. At the present time, there are no ensembles broadcasting exclusively in Sicilia. See National Ensembles. The ensemble tested briefly in March 2017. Regular service began in June 2017. On-Air: April 2013 (on Block 12A). Migrated to Block 12B during 2013. *1 The accented character in this label may not display correctly on some receivers. The snapshot below is of a pilot ensemble that operated in Venezia during 2009 and 2010. The ensemble ceased at the end of January 2011. Se trovi le informazioni su queste pagine utili o interessanti, considera per favore di fare una piccola donazione per aiutare. Grazie per il vostro supporto. Dona in modo sicuro tramite PayPal. Si prega di selezionare una proposta di donazione.